“Praise the beach when you come to it”, runs the Gaelic saying, and Rossnowlagh (the Wood of the Apples) is entirely praiseworthy. Donegal, with its thousand tongues stuck out at the sea, has more than its fair share of fine bays and creeks and beaches. It is a tantalising county to travel in, for one is always tempted to go to extremes and to neb-ends of peninsulas in the hope of finding yet another lonely tawny strand tucked deeply away under cliffs or dunes. Some of these strands, popular in summer, are so long that the motor cars huddle together in one place for fear of losing themselves. 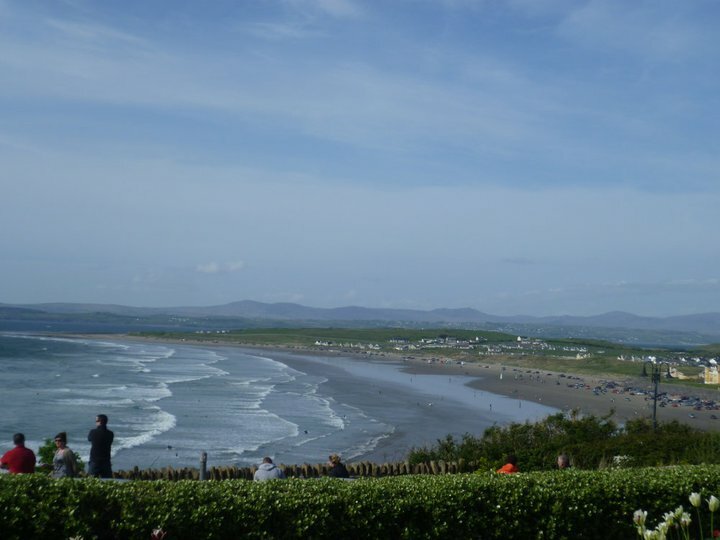 Rossnowlagh, a seaside resort north of Ballyshannon, has one of the finest strands in Ireland. It fronts a wide reach of level sward hemmed in by gentle hills, and it faces the blue Atlantic where it rolls into the long sweep of Donegal Bay. It was off this coast that William Allingham sang in his famous ballad “Adieu to Ballyshannon”. Adieu to all the billowy coast, and winding banks of Erne! Rossnowlagh is a real hidden gem with spectacular scenery that is worth a visit on your Ireland tours.